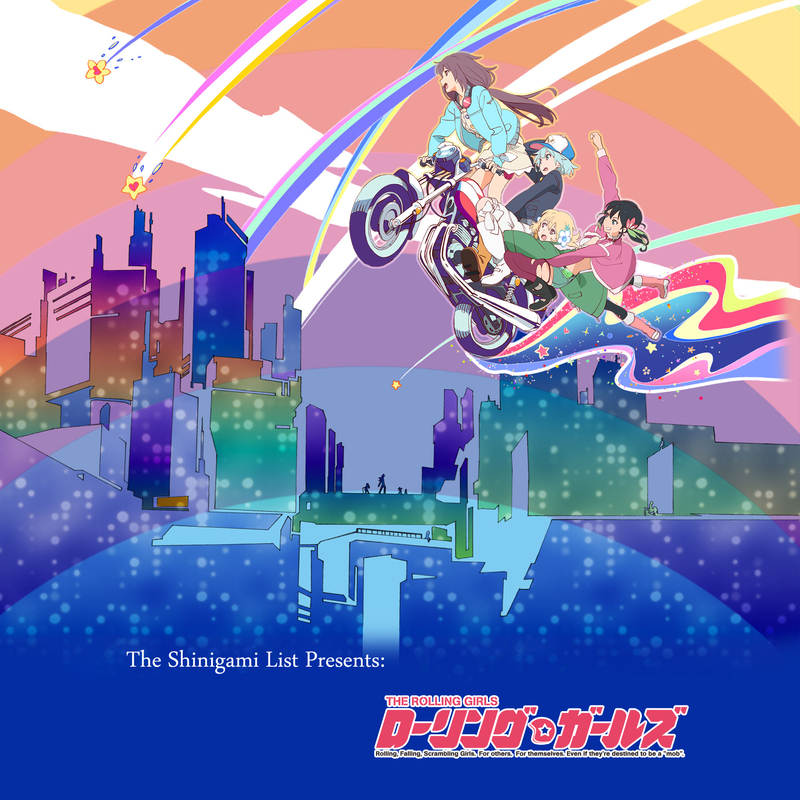 The Rolling Girls (ローリング☆ガールズ) is the first entirely-new, original anime TV series by Shingeki no Kyojin animation studio WIT. It focuses on a team of loli-looking, but tough bike riders – the Hiyoshi Town Propellers. Ai, Yukina, Chiaya and Nozomi are all the best riders in the Saitama prefecture mobs. They were sent to travel in order to defeat other Japanese nations’ mobs and make theirs the strongest. Discover who will be the King of the Rookies on 13th January! From left to right: Nozomi, Chiaya, Yukina, Ai and Masami. Nozomi Moritomo (Ari Ozawa) is the protagonist in the story and a main rolling girl. She works as a trainee at Tokorozawa’s Dango shop and is the only daughter of the Moritomo family. She is a member of the Hiyoshi Town Propellers. At school, her grades are average and she is a fan of the melonpan. Yukina Kosaka (Rina Hidaka) another member of the Propellers mob. She lacks a real sense of direction and has a very shy personality. Yukina always refers to others with honorifics. She loves sushi and reading manga. Ai Hibiki (Risa Taneda) is an ‘Ippongi’ and a very cheerful member of the mob. Ai always strives to become stronger and more capable. Her favourite food includes hamburgers and grilled meat. Chiaya Misono (Yumiri Hanamori) is a cute tiny girl with the typical yaeba teeth defect. A real charmer, she has come to know the true mystery of the power stones. Her favourite food is Moritomo’s takoyaki (octopus). Masami Utoku (Ayumi Fujimura) is a neighbour of the Moritomo family and a very close friend to Nozomi. My type of anime. Good job, WIT.